FFWPU Nepal: True Father’s heart and teachings are being heard at the national level in Nepal. Rev. 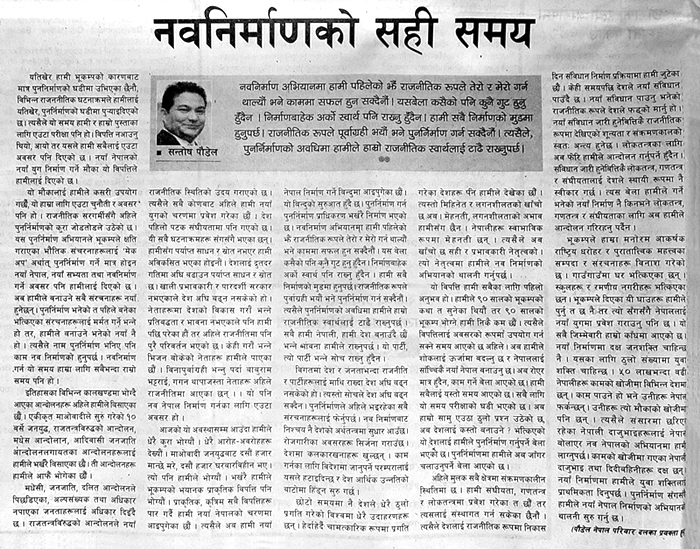 Santosh Paudel is featured on the editorial page of a major daily broadsheet newspaper. He is the President of FFWPU-Nepal and the Vice-Chairman of UPF-Nepal.